Born 1900, Inverell, New South Wales. Died 1981, New South Wales. Douglas Dundas is known for his modernist scenes, depicting the streets of Sydney, vivid landscapes, interiors and self-portraits. His paintings show a post-impressionist influence in the focus on light and how it reveals the colour and form of his subject. Dundas spent his early years on his family’s property near Inverell in the New England region of New South Wales. After meeting the artist Elioth Gruner in 1921 he moved to Sydney and enrolled in art classes at the Julian Ashton Art School. In 1927 the Society of Artists’ Travelling Scholarship enabled him to study at the London Polytechnic and in Paris with André Lhote. Following his return to Australia in 1929 Dundas began an active career as an artist and teacher. He began teaching at East Sydney Technical College (now the National Art School) in 1931, was head teacher in painting from 1938 to 1960 and was head of the school until 1965. 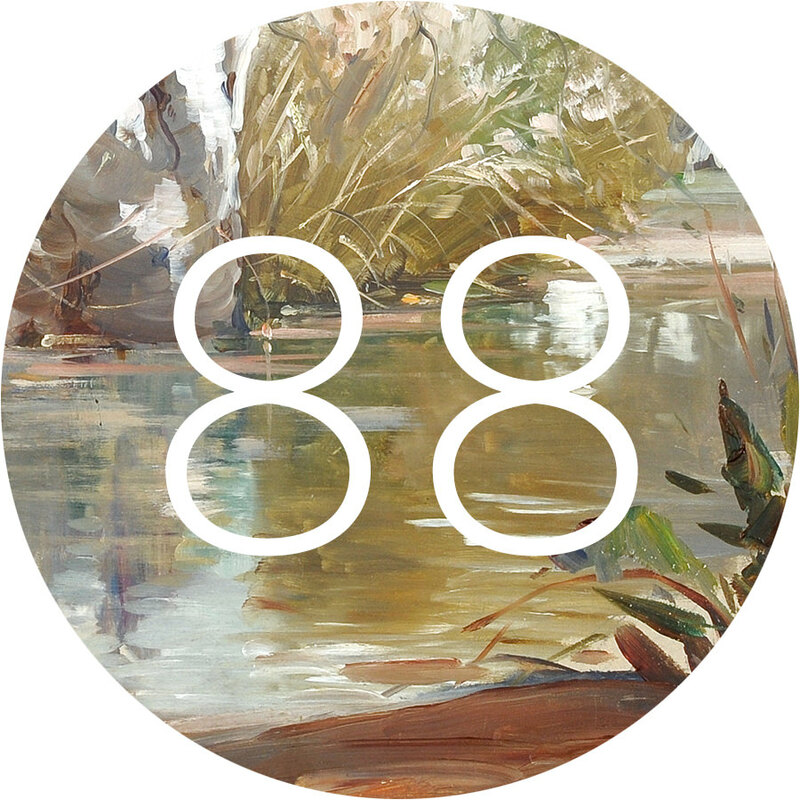 He was also a trustee of the Art Gallery of New South Wales and a member of the Arts Council of Australia. 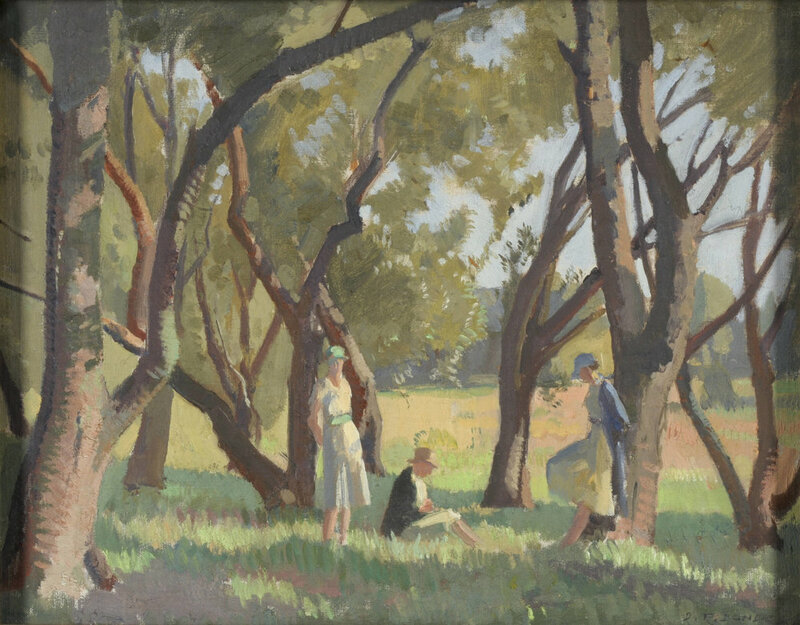 Dundas uses short, visible brushstrokes to render Under the Banksias, a painting that possibly depicts his art students working en plein air, or the sketching artist and models situated in the landscape.